Home > Blog Home > Blogs > DIY: Any Color Chalkboard Paint! DIY: Any Color Chalkboard Paint! Make your own Chalkboard paint, courtesy of Martha Stewart. Sometimes, that traditional chalkboard color just doesn't go with your decor. Thanks to Martha Stewart, you can turn anything in your home into a chalkboard, and in any color you choose! And we have the recipe for you, below, as well as some amazing ideas on how you can use it in your home. You can also find Martha Stewart's instructions on her website here. Mix one cup of Flat Finish paint in any color with 2 tablespoons of unsanded tile grout. Use a paint stirrer to make sure it is evenly combined with the paint. Apply paint on a primed or painted surface with a roller or brush. Work in small sections, going over the area several times to ensure full, even coverage. Let dry. Sand with 150 grit sandpaper until smooth. Clean off dust. 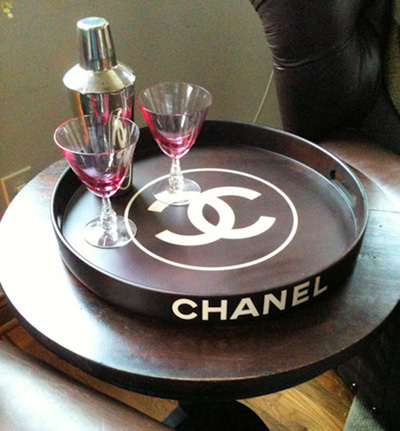 To condition, rub the side of a piece of chalk over entire surface. Wipe away residue with a barely damp sponge. Now, I'm sure you have plenty of ideas to use your newfound skill! What can you turn into a chalkboard? 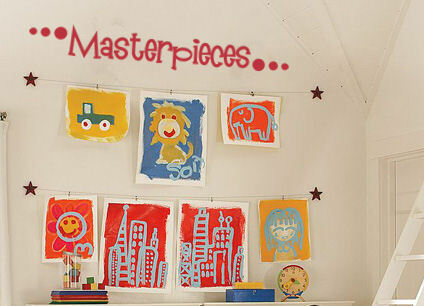 Paint a wall, or a section of a wall, in your kids' room or playroom with chalkboard paint. 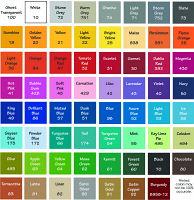 You can even use the same color paint as you did the paint the rest of the room, or a complimenting color. 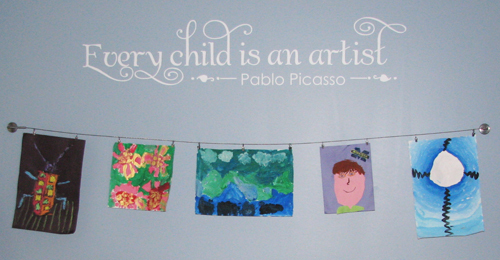 Make sure to put up one of our decals, so the kids know which space to use for their artwork! Turn the inside of a kitchen cabinet or your pantry into a chalkboard. 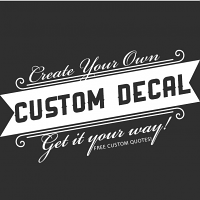 Then use this handy Weekly Menu decal to create a space to do your meal planning. You can write your grocery list right next to it, while checking your pantry. Keep your family relationships strong by writing daily love notes to your spouse and children. Just maybe they'll leave some for you too! 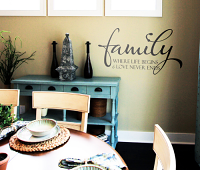 Paint a little private space in your home with chalkboard paint, and use this sweet decal to inspire your family. 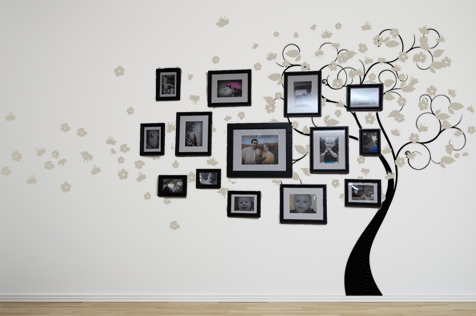 What else can you personalize in your home ? Comments on DIY: Any Color Chalkboard Paint!